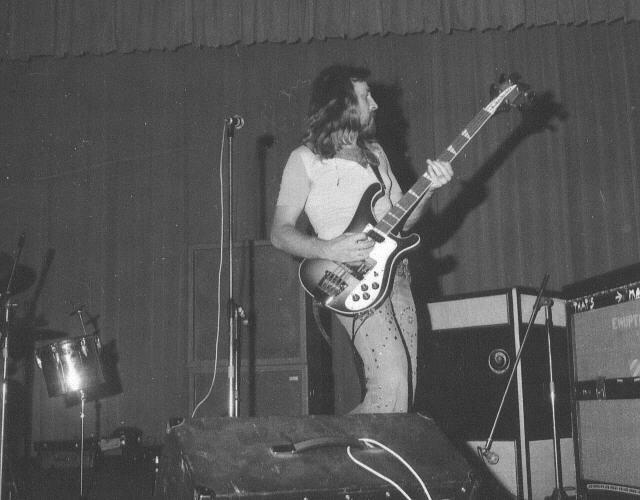 My first band, The Earls, had disbanded, and I wanted to form a new band with our bassist. We only needed a name. I then asked the cleverest guy in our class if he could think of a name and he suggested BIRTH CONTROL! Birth control was a hot topic at the time due to the controversy about the Pope and the pill. 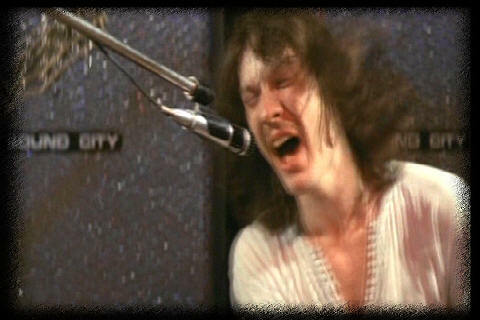 So the band owes the name Birth Control to my class mate Manfred Gillig. He is now chief editor of the magazine "Musikwoche". We thank Fabian Leibfried for allowing us to print these passages. 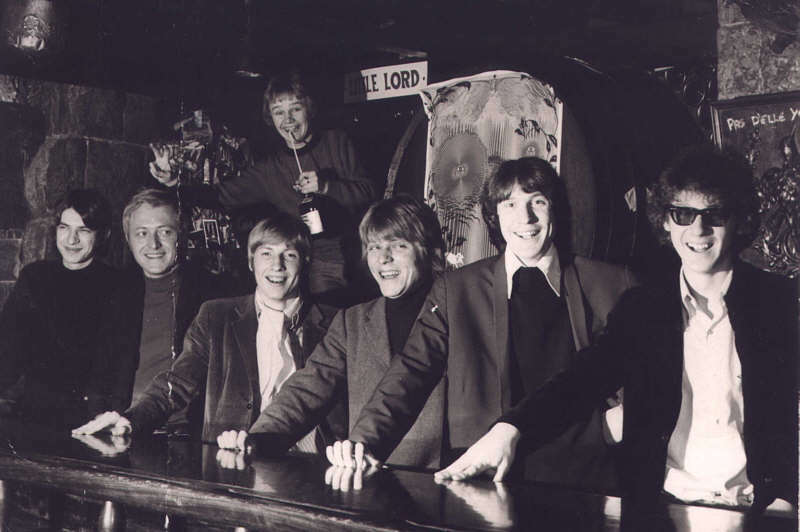 None of the 7 founding members probably thought of record productions or a career with the band: BERND KOSCHMIDDER (bass), REINHOLD SOBOTTA (organ), ROLF GURRA (saxophone, vocals) FRITZ “LITTLE LORD” GRÖGER (vocals), KLAUS ORSO (guitar), REINER BORCHERT (guitar) and HUGO EGON BALDER (drums), who later became a well-known TV presenter and producer with a private TV station. 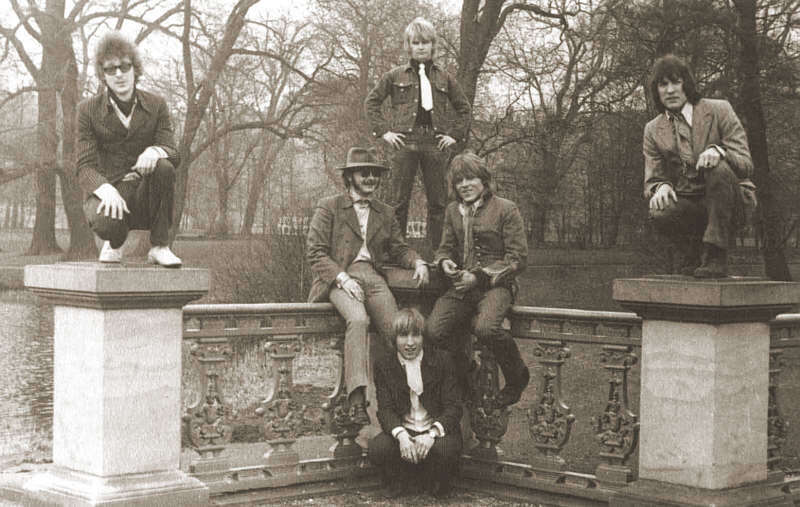 The band played almost daily in Berlin clubs and soon became well-known in the region. 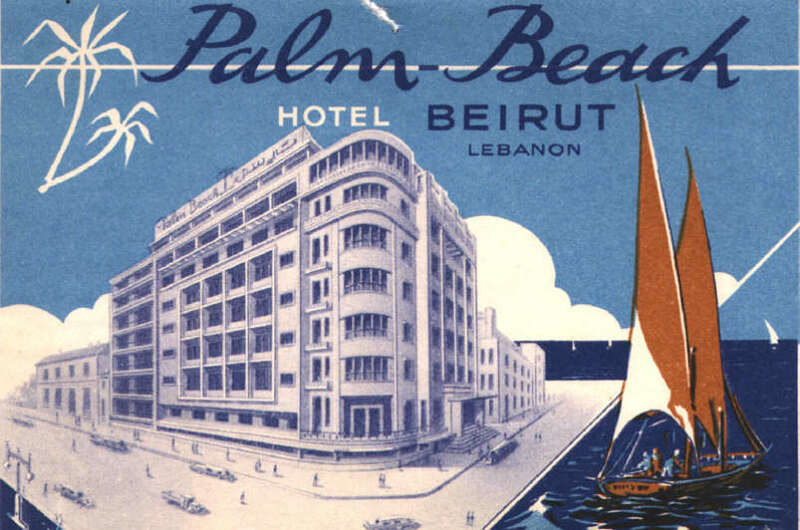 As early as autumn they received an offer to play in Beirut for three months. KLAUS ORSO left BIRTH CONTROL and began to study law. He is now a lawyer in Berlin. 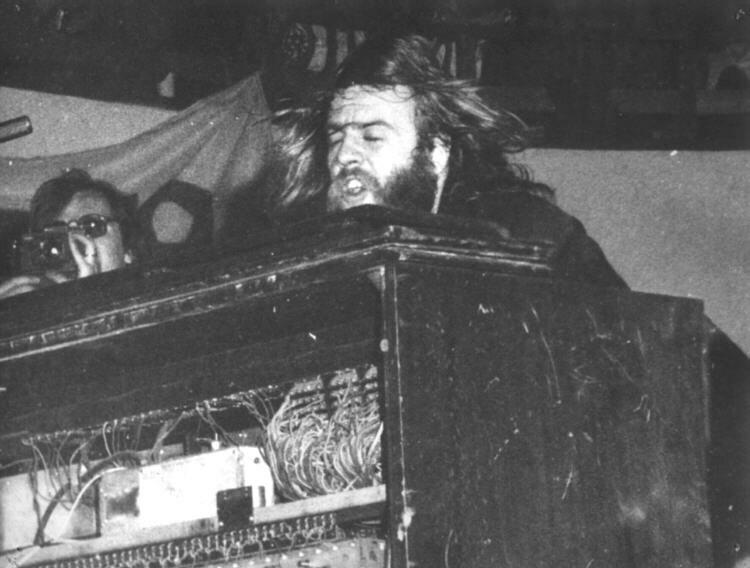 Gerd Alsheimer was then taken on in ORSO’S place but he left the band during the Lebanon tour. 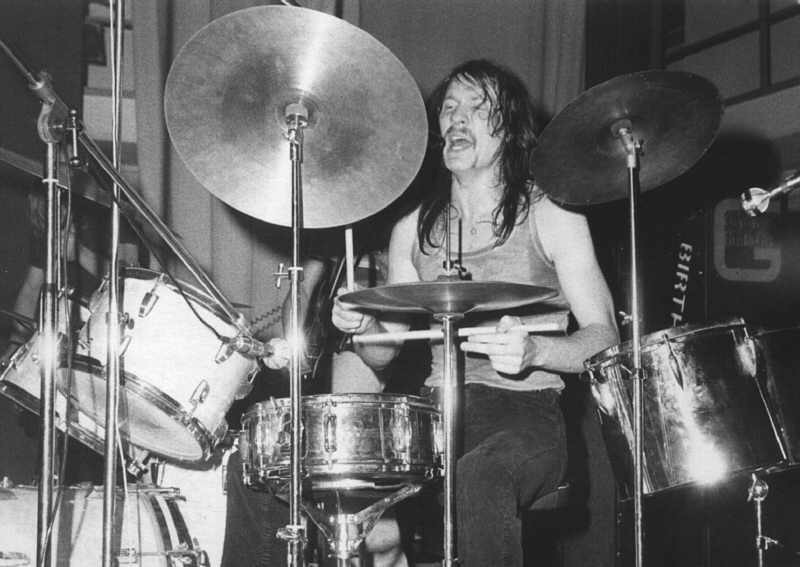 A serious road accident in which KOSCHMIDDER and BALDER were involved shortly after, almost brought the tour to a fall: BALDER’S parents banned him from playing in the band any further so BIRTH CONTROL suddenly lost their drummer. 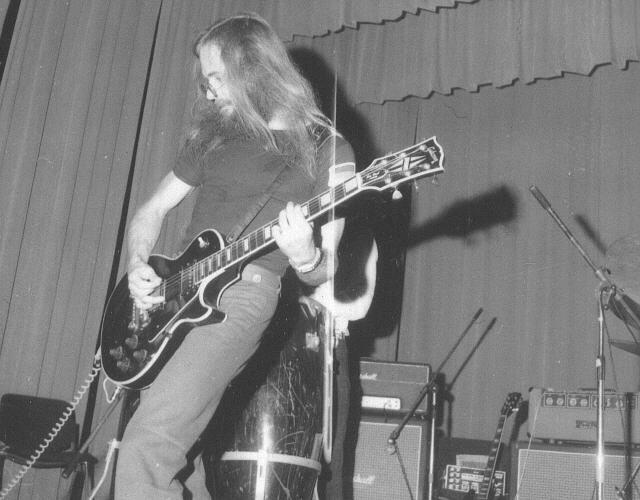 Through this, in retrospect, fortunate event, BERND "NOSSI" NOSKE joined the band and the tour was saved. 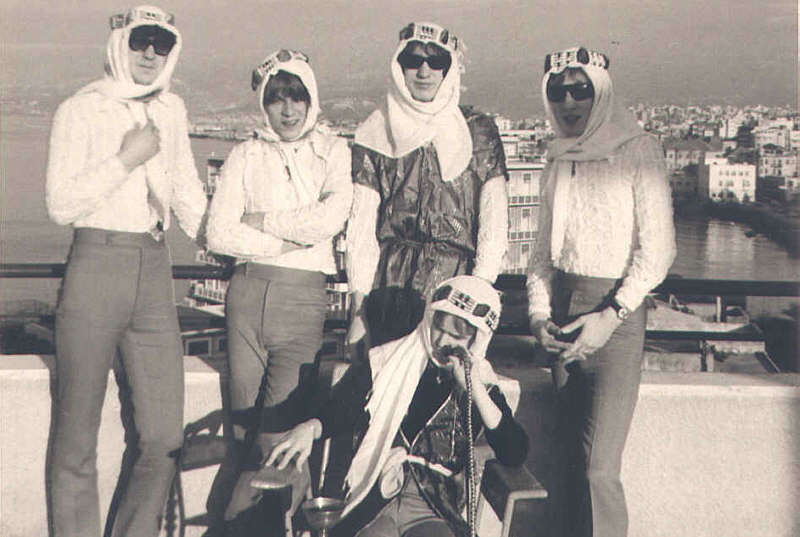 In January a ship took the band to Lebanon. 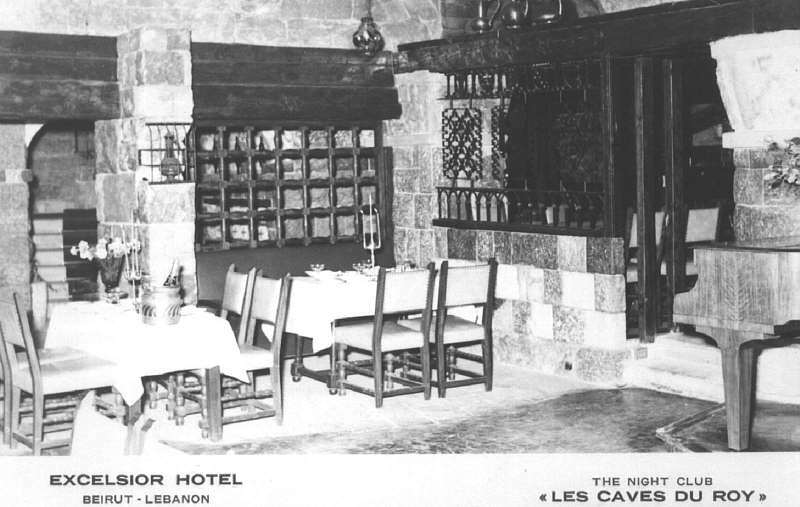 For almost three months the band played the sold-out night club "Les Caves du Roy" at the Excelsior Hotel in Beirut. One night Ricky Shayne came on stage. Some of you will have probably heard of Little Lord, Germany’s smallest beat singer. That’s me! At the moment I’m playing with my band “Birth Control” in Beirut. 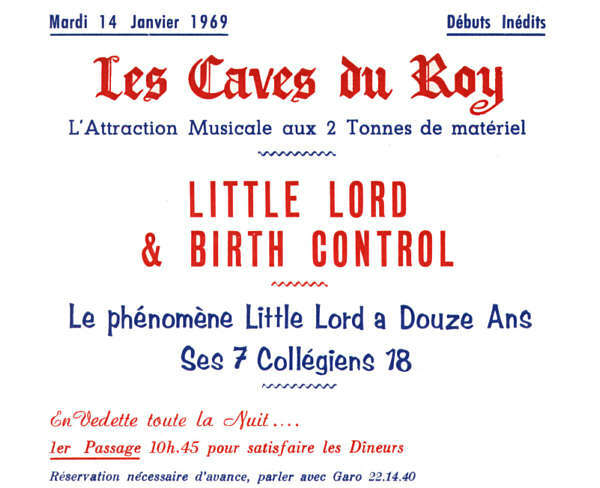 The club which we play is called "Les Caves du Roy". Many famous artists come here. One night we discovered Ricky Shayne among the guests. We asked him to sing with us as a guest performer, which he then did. Ricky was on holiday in Beirut for five weeks. He even arranged for us to perform on Lebanese TV because he wanted us to play for him during his TV performance. Ricky is very down to earth. He treated us like real mates. 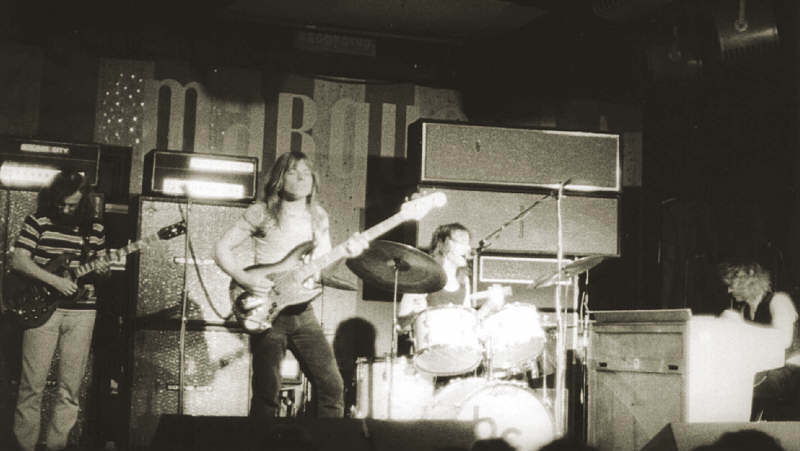 At the end of May 1969 (with only five members) the band returned to Berlin and the line-up began to change: REINER BORCHERT had stayed in Lebanon, and BRUNO FRENZEL, a future State Employee at the National Insurance Authority in Berlin, gave up his training and joined BIRTH CONTROL as a guitarist. 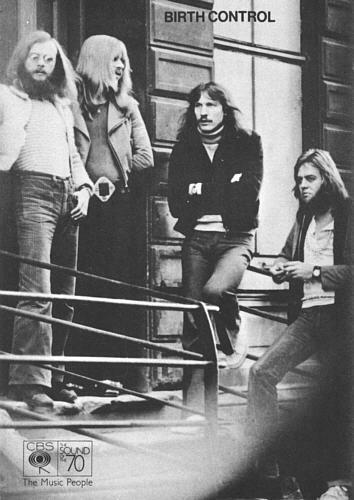 After FRITZ GRÖGER had also left in late summer, the band began to record their first original material. 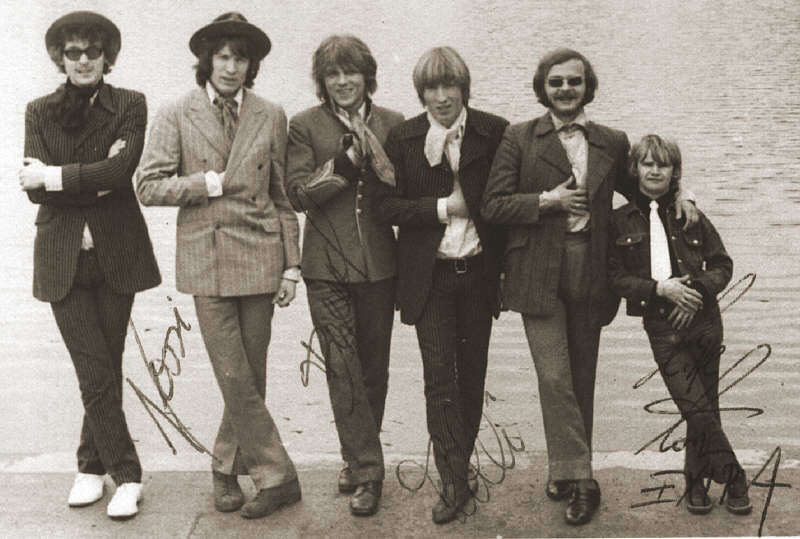 In autumn 1969 they published their first single. 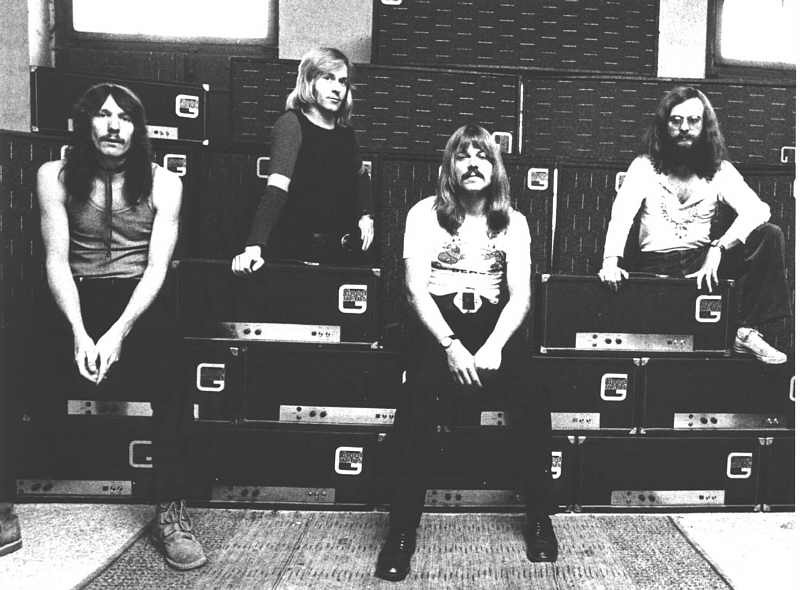 Without ROLF GURRA, who quit at the end of the year, the band produced their first album "BIRTH CONTROL", which was released in several countries in Europe and in the USA and which was later re-released several times under a different title (see discography). 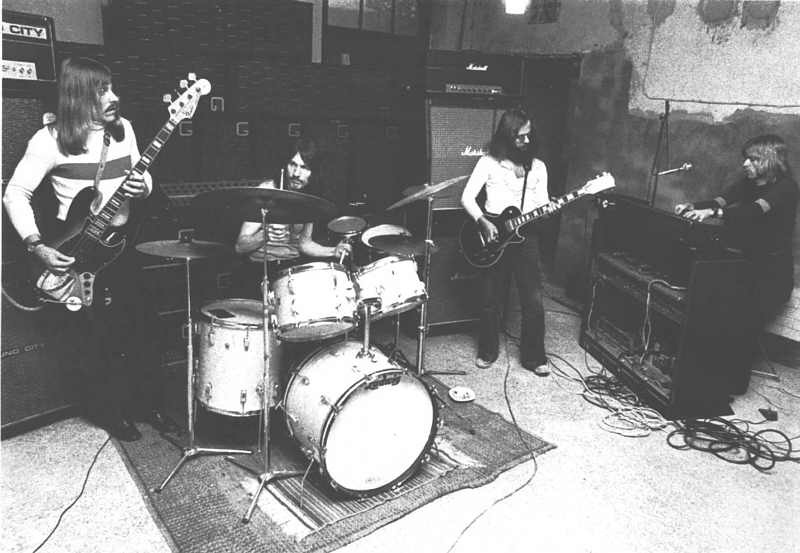 In line with their provocative band name, with which the musicians paid reference to the encyclical "Humanae Vitae" issued by Pope Paul (which included the strict banning of abortion), the first album was packaged in an anti-baby pill box. 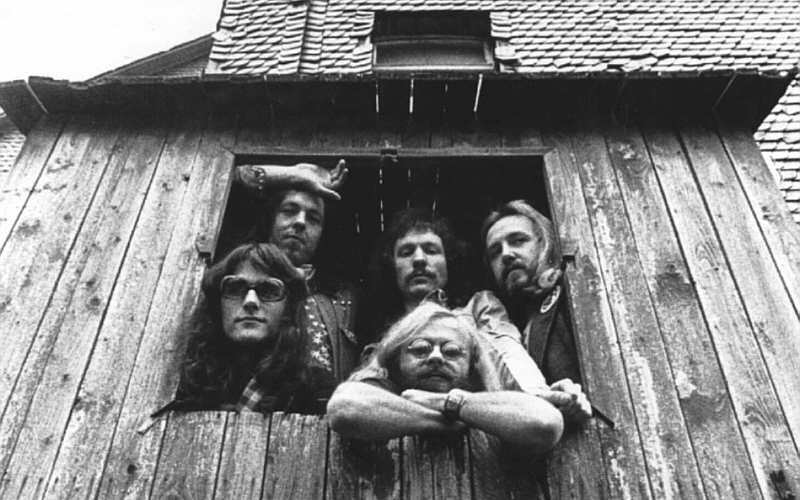 Among musical insiders, the band was now becoming highly regarded. 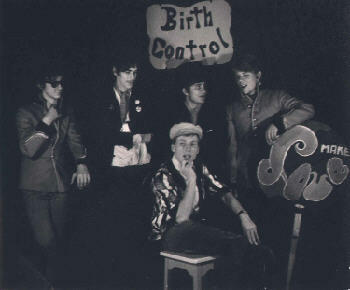 In order to make a living, BIRTH CONTROL played as the accompanying band on PETER ORLOFF's Germany tour, after which they produced their 2nd single. 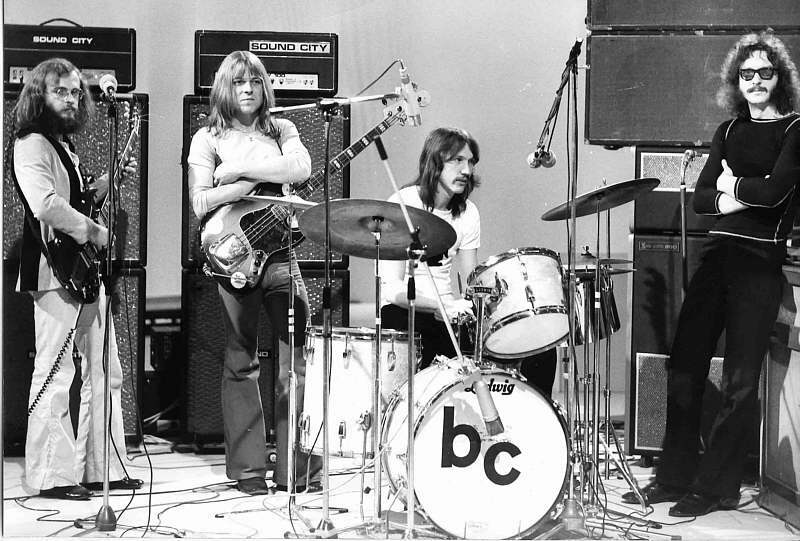 The B-side (as with the two titles on their first single) never appeared on an LP. 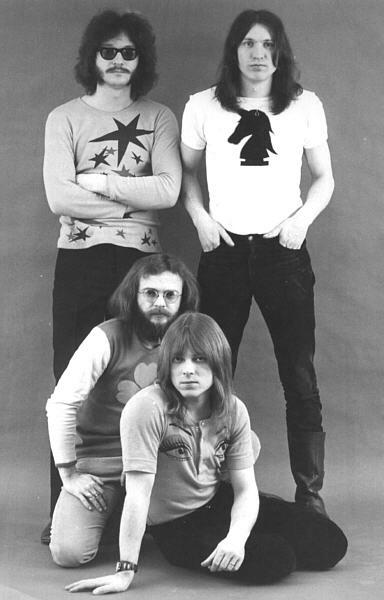 The third single "HOPE" for which the band had changed to the OHR label, became their first hit. 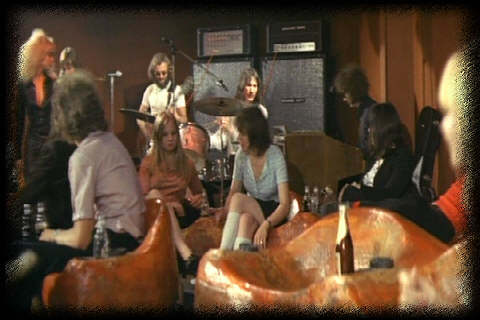 Shortly afterwards the band played alongside MURPHY BLEND, LUKE ZANE and PONY POINDEXTER in the first INGRID STEEGER film: "Ich, ein Groupie - das Mädchen mit dem Einwegticket" (English title: "Higher and higher - me, a groupie")! From a present-day point of view the film seems quite dated but it still retains cult status! It reflects the youth 'zeitgeist' of that period and presents the story and the settings authentically. 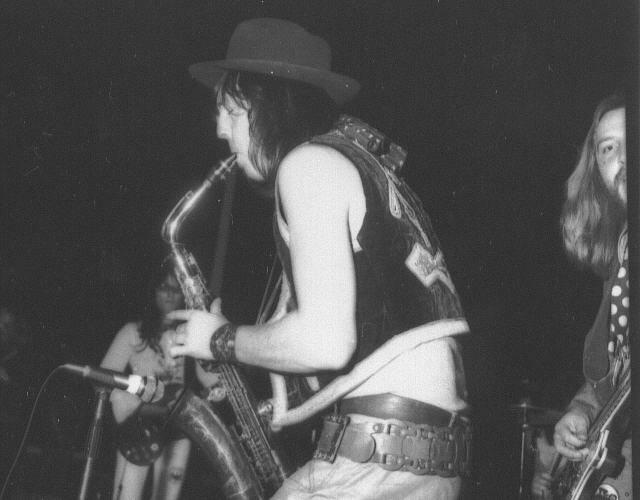 The live performances with Birth Control are probably the oldest film recordings of the band: They play "NO DRUGS" from their first LP. 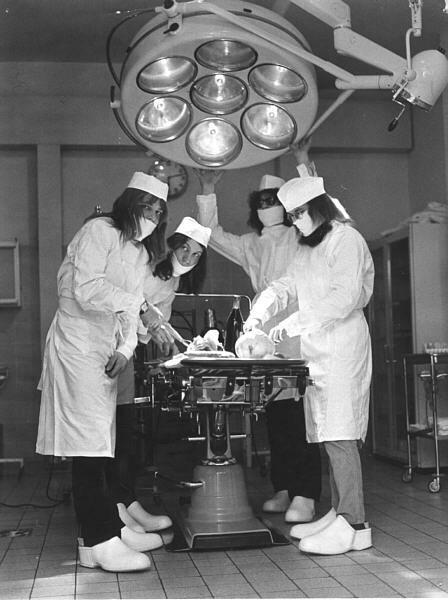 When the album "OPERATION" was released in 1971, some record shops refused to add the record to their range as the cover showed the Pope together with a baby-eating monster. The changed English version showed two huge condoms, which resulted in a strike of the female British packers. For the band this was the best publicity. 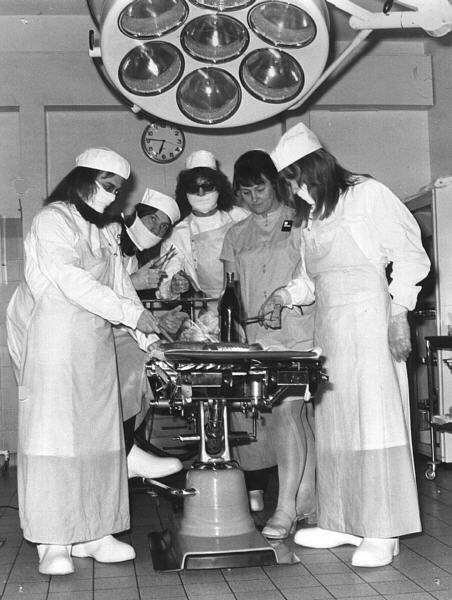 "OPERATION" was voted the second best record of the year by the readers of MUSIK EXPRESS. 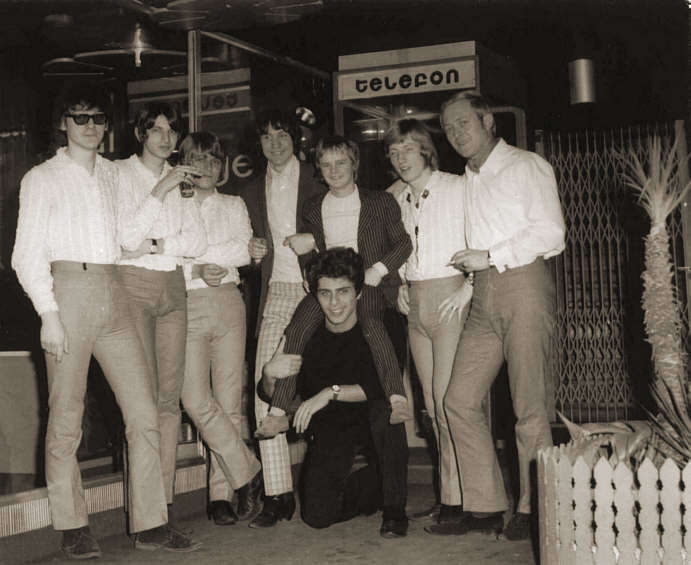 With the single release "The Work Is Done" they performed at the BEAT-CLUB on 25.9.71. This was followed by four concerts in England, performances on British TV as well as at the MIDEM event in Cannes. 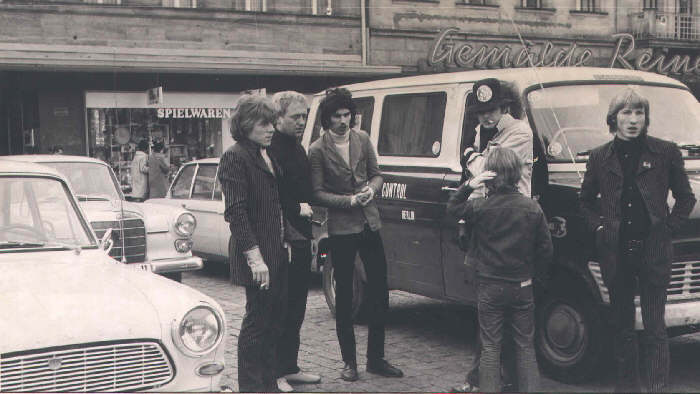 On 20th August 1971 the band left Berlin and made themselves at home together with their roadies in an old steam dairy in the town of Burkhards near Frankfurt. Here the musicians found the necessary peace and quiet between concerts and at the same time had the facilities for practicing. 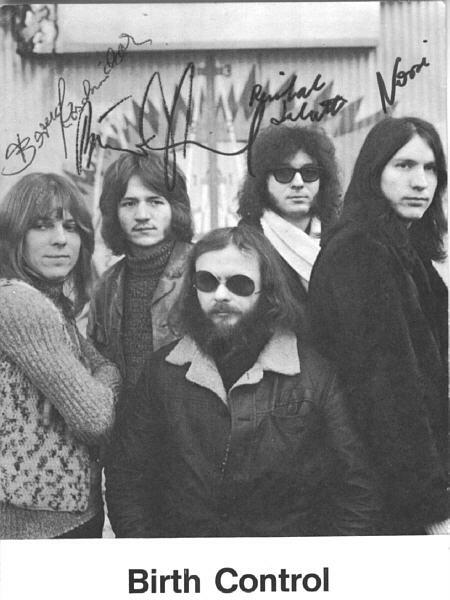 The year began with new changes in the line-up: Reinhold Sobotta left the band for health reasons. 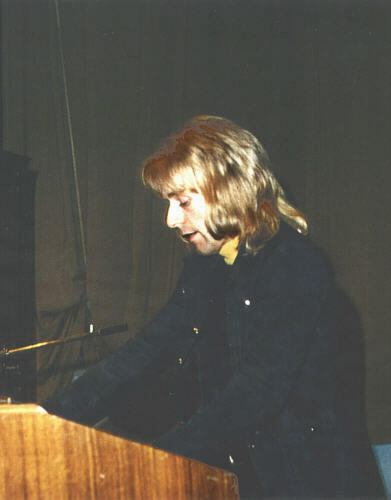 Hartmut Schölgens from Mönchengladbach gave a short guest-appearance on organ before Wolfgang Neuser from Siegen was taken on via contract. 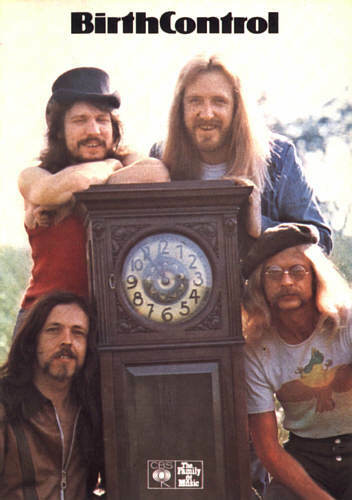 The band also changed from the label METRONOME to CBS after paying a transfer fee (so this isn’t really a new thing). 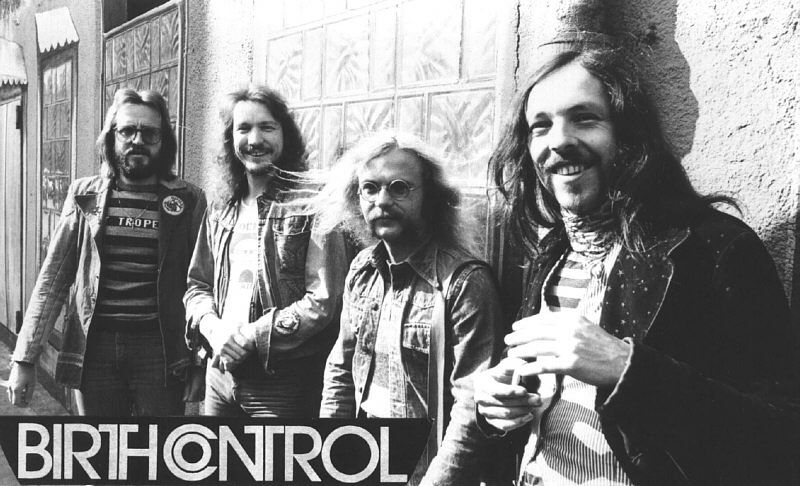 It was Heinz-Gerd Lütticke, who later became manager of the Scorpions, who took care of organisational matters for the "Mushrooms", and it was also him who put me into touch with Birth Control. I wasn’t aware that Lütticke had made contact with the three remaining members of Birth Control. He took me there for the audition. I did it, and when I was asked if I was able to compose I said yes – and was taken on. What followed then was hard nine months: Birth Control was a touring band: Germany up and down, France, Switzerland. What was initially new and attractive soon lost its appeal. The concerts always went in the same way and at festivals we always met the same colleagues: Frumpy, Karthago, Nektar – at some stage it became boring. 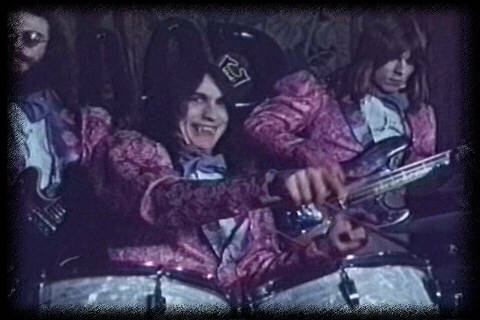 However, what I keep in good memory is the recordings for 'Hoodoo Man' in the Windrose Studios in Hamburg. Birth Control had Bodo Albesgerade as their new manager and he got them a contract with media giant CBS. This was a completely unfamiliar experience. You only had to express a desire and if it wasn’t too extravagant it was fulfilled. For example, when I desperately wanted to play the middle part of the title song on a church organ rather than on my hammond, they hired the church in Blankenese for one afternoon. I played the roughly 75 second sequence but afterwards I couldn’t believe what I heard: After I’d finished playing our technicians continued recording the dying off echo in the church. And then someone walked by outside and whistled very audibly the beginning of the former chart topper 'Popcorn'. First we wanted to keep it in the recording as a gag but then we put a new echo over it in the studio. 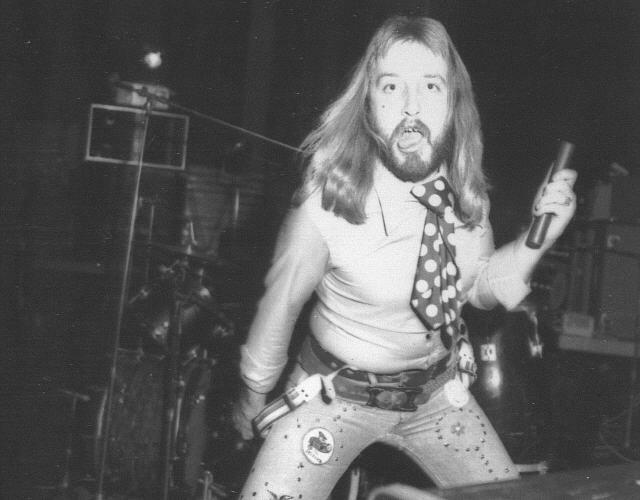 With 'Hoodoo Man' Wölle Neuser had participated in one of the most distinctive productions of German rock – far more than the information on the album suggests. 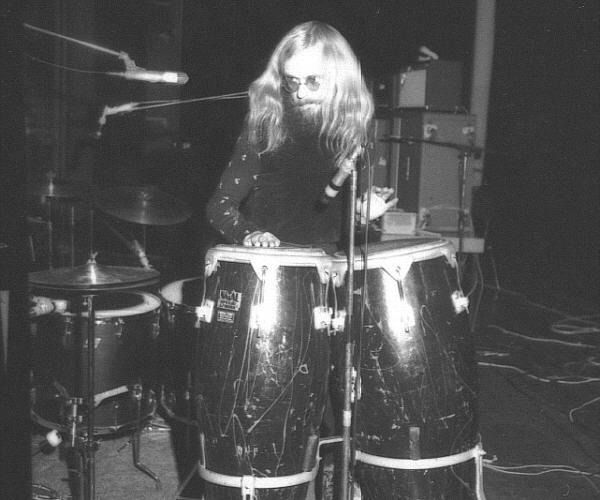 Neuser was a substantial author of the songs, amongst which 'Gamma Ray' became one of the hymns of a genre that was also called 'krautrock'. "If you counted all sales, including CDs, it surely by now would have achieved platinum status." Rainer Petruck (Mushroom) remembers the discussions when he and the other 'mushrooms' heard the songs of the new Birth Control album for the first time. 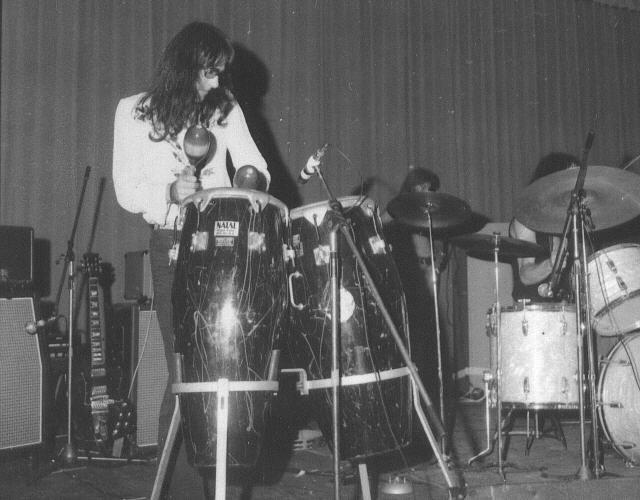 "We were all aware that these were songs which we’d played in parts with Wölle, when he was still a member." 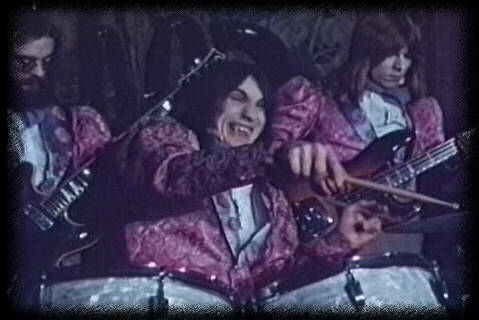 And also compositions which Neuser wrote later for "Eternal Light" were related to the 'Hoodoo Man' songs. Yet Birth Control guitarist and singer Bruno Frenzel is still named as the composer. 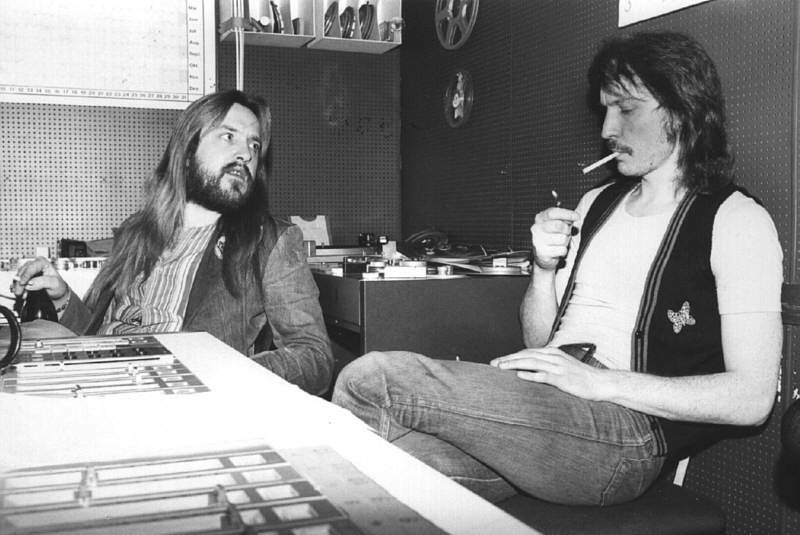 "When I joined the band Frenzel was the only one of us who was registered with the GEMA. Because registration was relatively expensive, I agreed that Bruno was put down as the author", Neuser remembers. 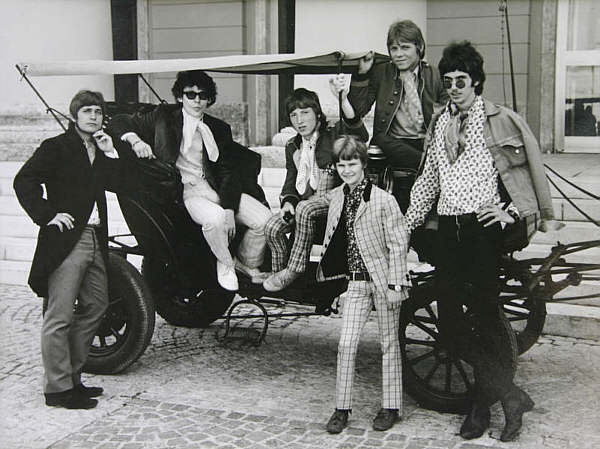 "Of course over the decades every now and then I contemplated claiming my copyright, but I never went ahead with any legal steps – the reason also being that it wasn't Bruno Frenzel but the record company who profited from it: We had transferred all profits from 'Hoodoo Man' to CBS as this was necessary to provide financial recovery for the band. 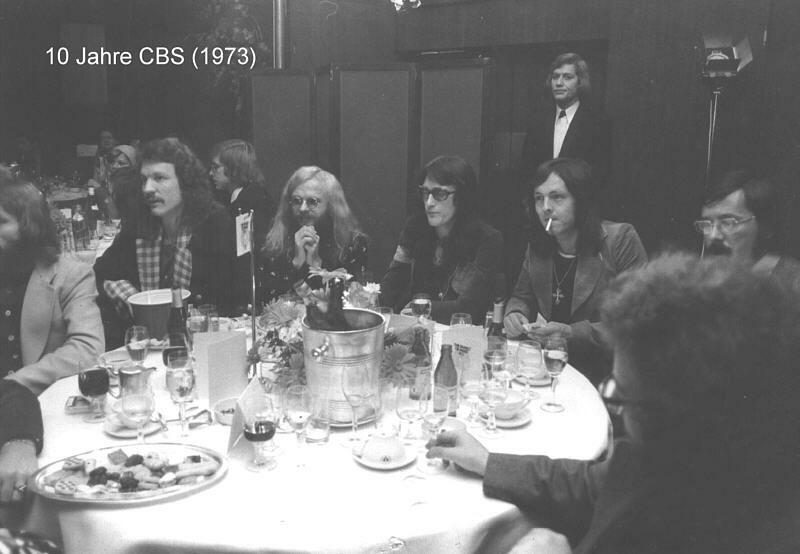 When we made the recordings in autumn 1972 nobody expected that the record would become such a success. However, this soon changed. 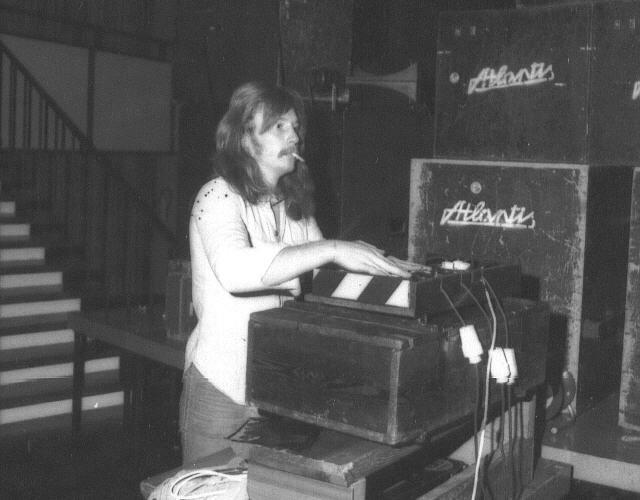 After we had finalised the recordings for 'Gamma Ray', we took the tape with us into clubs. We then realised that people asked for the song again and again and that it could become a great success." 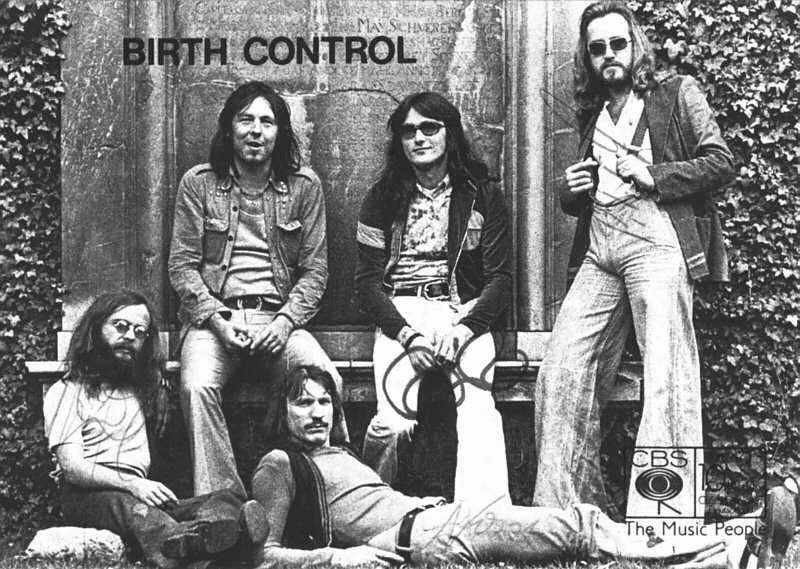 The first album with this new label would become the cult album of BIRTH CONTROL. 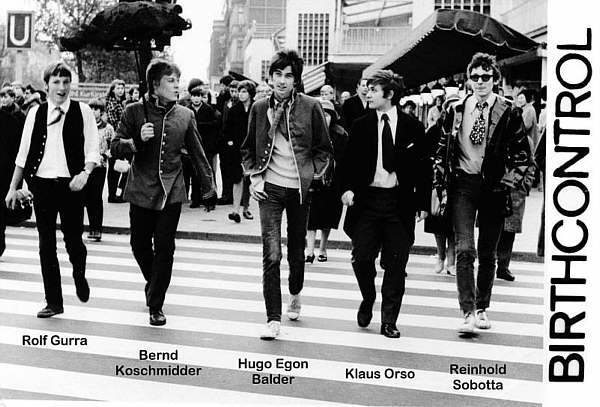 “Hoodoo Man” became a milestone in the history of German rock. 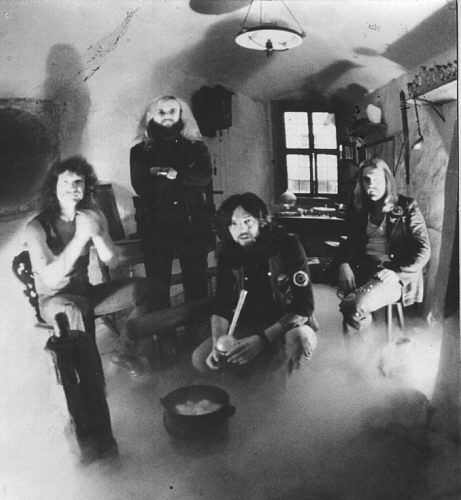 The cover of the record, which once again stirred up peoples minds, as well as "Gamma Ray" the cult song of the Krautrock era, brought the band to new heights and has sold in excess of 300.000 copies. Even in the techno-scene the title became popular. (It remains questionable if this should be regarded as compliment.) 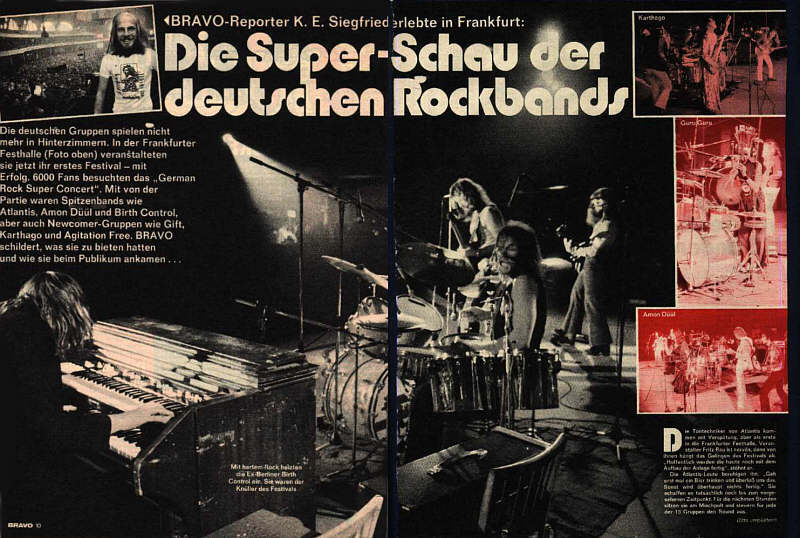 In 1972 the press were in a frenzy of praise and voted BC the "most explosive German hard rock band" (Oberpfälzer Nachrichten) and Germany’s second best band (Musikmarkt). The British press (unsurprisingly) described Birth Control as no. 1 'plagiarists' (Melody Maker). Birth Control turned their backs on the old dairy in Burkhards and settled down in the small town of Pohlhausen near Cologne. From 1st February they lived in a large, modern house called "Lerchenhof". 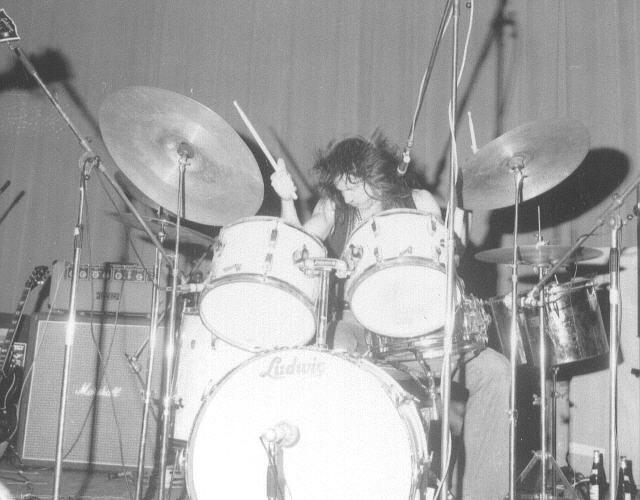 Before the first longer Germany tour Bernd Koschmidder left the band. Peter Föller took his place. The 6th single "Nostalgia" (sung by Peter Föller) was again a title that had not appeared on an LP and was therefore less known. 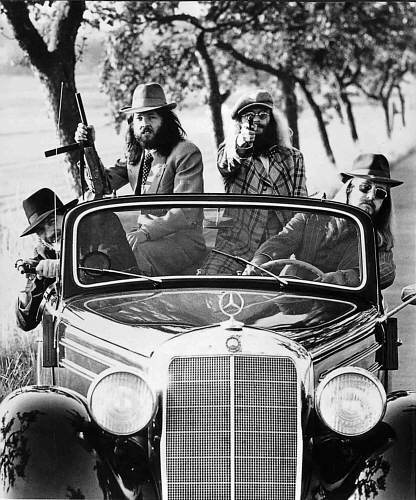 The b-side "Kaulstoß" was already included in the LP "Hoodoo Man" The gigs which followed (among others in Berlin and at the German Rock Super Concert in Frankfurt) brought the great breakthrough. 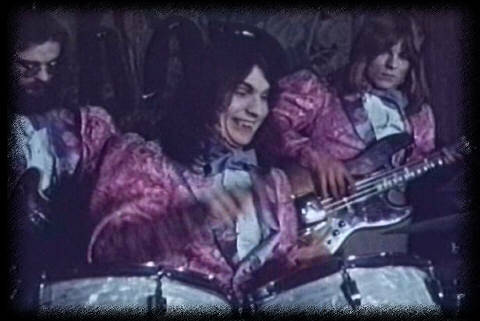 Video clip in the Frankfurter Festhalle 1973 - © WDR. 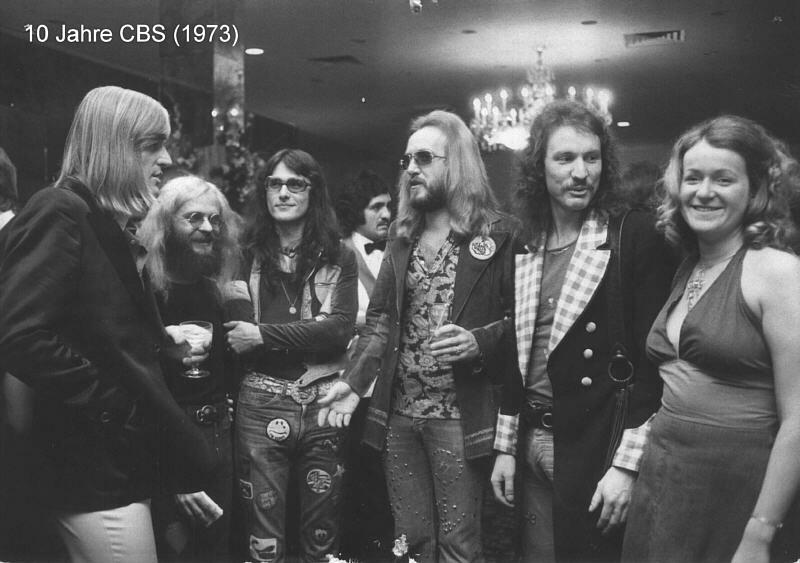 In the ARD TV programme "Klatschmohn" the concert from the Frankfurt Festhalle in autumn 1973 was broadcast as a recording and Birth Control were celebrated as the no. 1 live band all over the country. 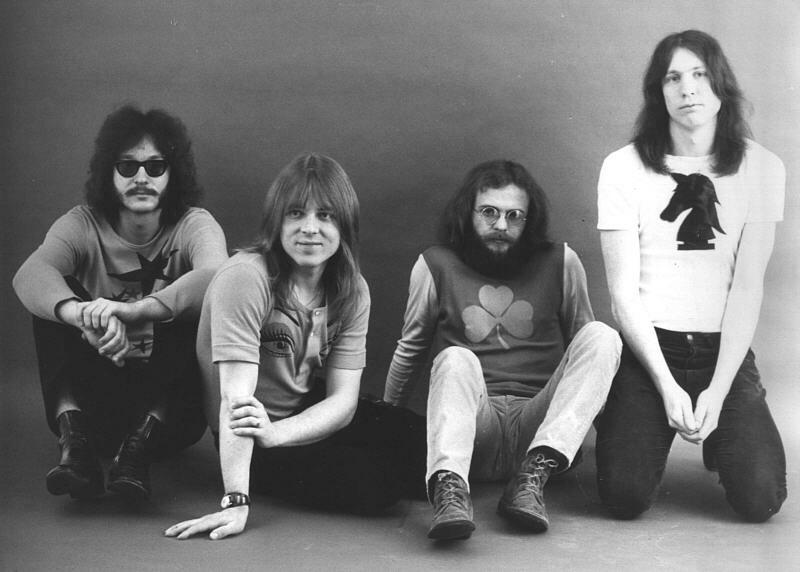 "Gamma Ray" became a cult hit of the 70s generation! 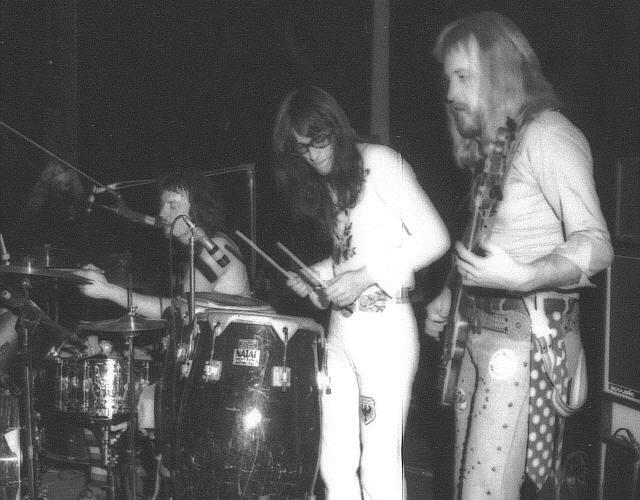 At the end of May 1973 there were various changes to the line-up: Wolfgang Neuser left because he could no longer identify himself with the musical style of Birth Control. BERND HELD (or better: ZEUS B. Held), nowadays a well-known and successful producer (until 2004 in London) took his place. 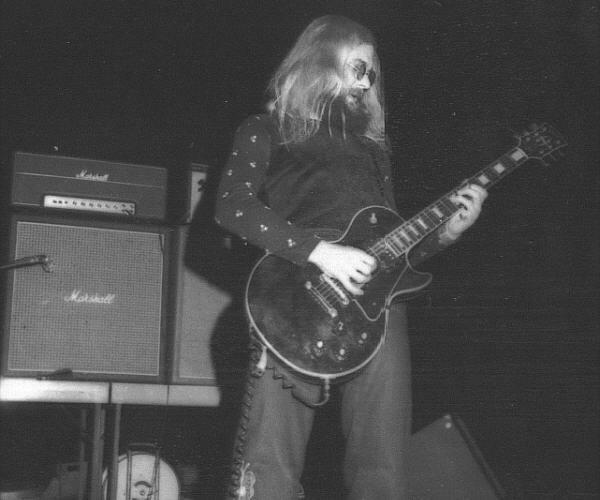 Additionally, Dirk Steffens was taken on as a second guitarist. In September Birth Control once again toured through 23 German towns, profiling themselves as "Germany's no. 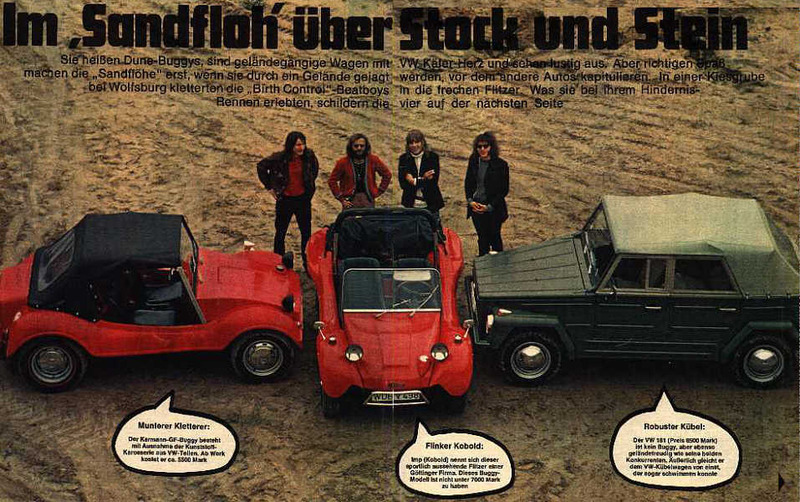 1 live band" and as "one of the German rock bands who changed their image from 'underground moles' to an impression of musical self-appreciation" (FRANKFURTER RUNDSCHAU), but also through "mostly simple strumming" (SÜDWESTPRESSE). 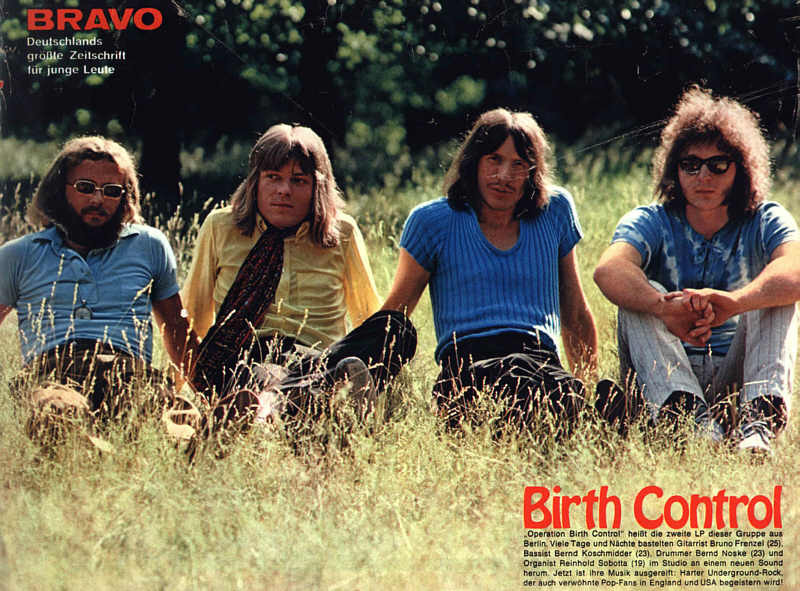 In November 1973 Birth Control recorded the album "Rebirth", which despite avoidable lengths achieves true musical qualities" (WAZ) and "will please those introverts who stand in the corner, banging their heads up and down" (RECORD MIRROR). Unfortunately, there was no single release from this LP. 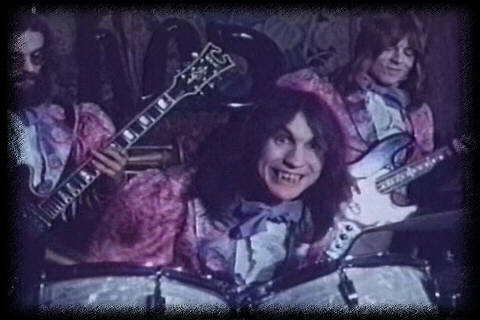 "Back From Hell" became a classic which is still performed during live gigs of the band. 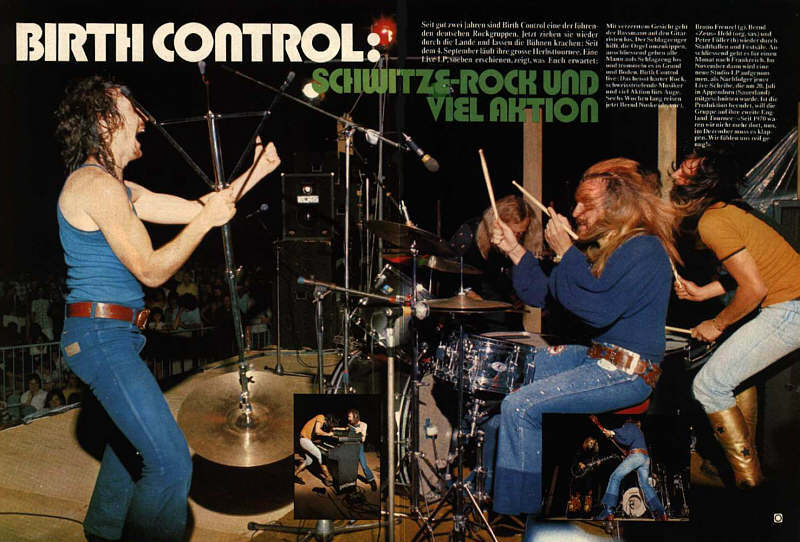 Dirk Steffens left Birth Control in January 1974 (and later attracted attention with two excellent hard rock albums) so the band started their Germany tour in spring as a quartet. 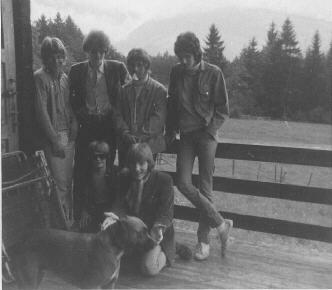 Through producer Dieter Dierks gigs in Freiburg, Attendorn and Dorsten were recorded on tape and released in autumn 1974 as a "Live"-double album, which documented "enthusing rock" (POP). 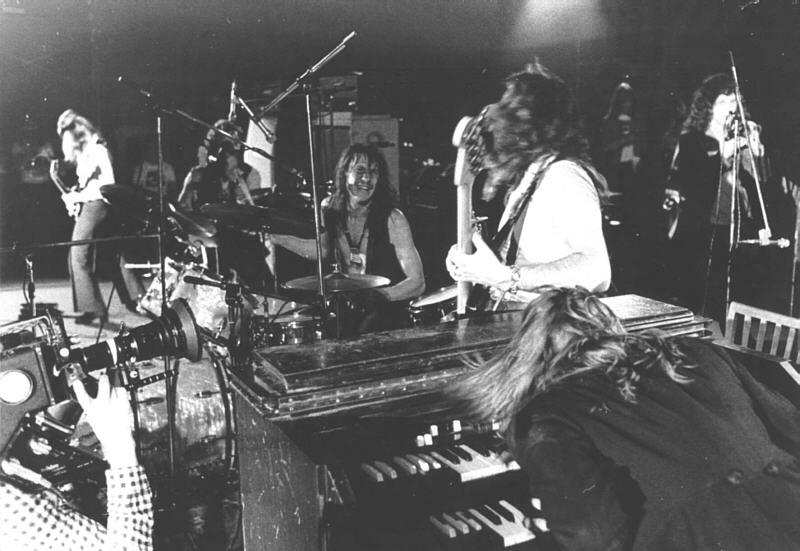 After a six week Germany tour in September 1974, they performed at the "Palais des Sport" in Paris on 28th October. For the readers of MUSIK EXPRESS Birth Control was the best live band of the year.